Having been to both England and the Midwest of America one can’t help but notice many striking similarities between the two. Outside of London, most of England feels fairly blue collar. They love their footbal teams, and enjoy a great pint after work. I also tend to think that beer culture in both countries is actually much more similar than we as Americans like to admit. In England, beer drinkers are passionate about telling you which beers are worth drinking, and what is garbage. You could almost call them beer snobs. Of course, anyone who’s browsed beeradvocate or any of the homebrew forums will note that Americans are quite adept in that skill as well. Americans and Britians are both ale drinkers, and, seem to prefer the pale ale above most beer. Given our country’s heritage, when I imagine early home brewing in the US, I think that it was probably something of a rudimentary understanding of British brewing practices in the 70s and 80s due mainly to availability. I also believe that many of the original house styles and strains from craft breweries during that time would have descended from British styles (with the exception of alt, wheat, and lagers) for reasons of availability of source ingredients, as well as push back to macro breweries, most of which emulate German brewing practices. 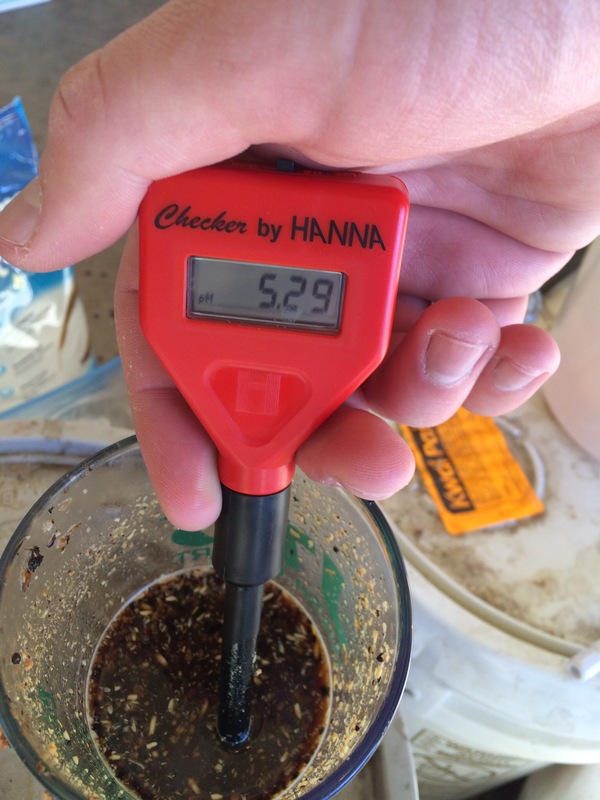 After completing the experiment on The Yeast Bay’s new Midwestern ale yeast (MW), I received a lot of comments on the beer produced with this yeast. The feedback was almost unanimous preferring the IPA fermented with MW ale to the Vermont yeast in that experiment. Being the questioning person that I am, I asked participants for their thoughts on potential origin for the MW ale yeast. Answers ranged from British, to American, to one Alt yeast. The yeast character in that experiment was fairly clean, little to no esters were noted. That being said, based on the quick fermentation, and large krausen, I kept going back to the thought that this was some sort of British style ale yeast that Bells perhaps isolated a long time ago and has been riding ever since. 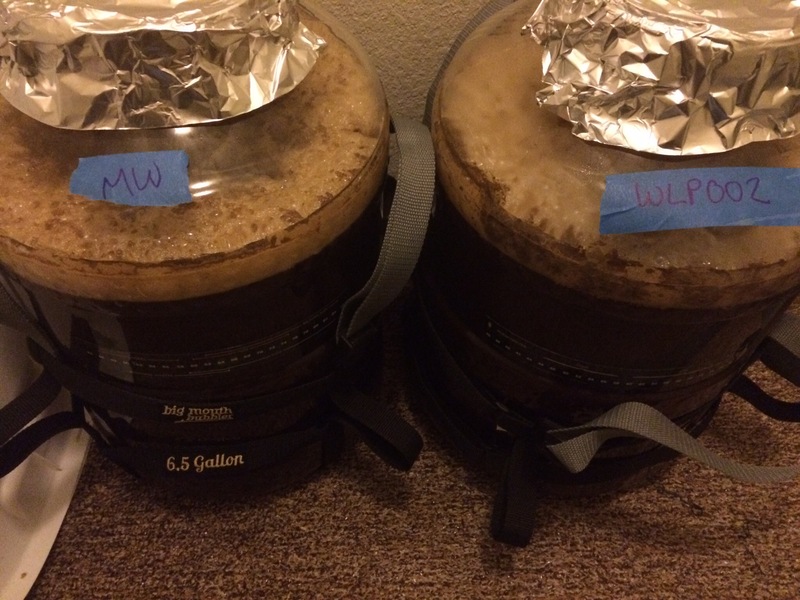 With that in mind I thought it would be great to compare this strain to the classic English ale yeast, WLP002, and test out if the exact same wort fermented with these two strains produced a noticeably different beer, and maybe start to understand MW a little more. 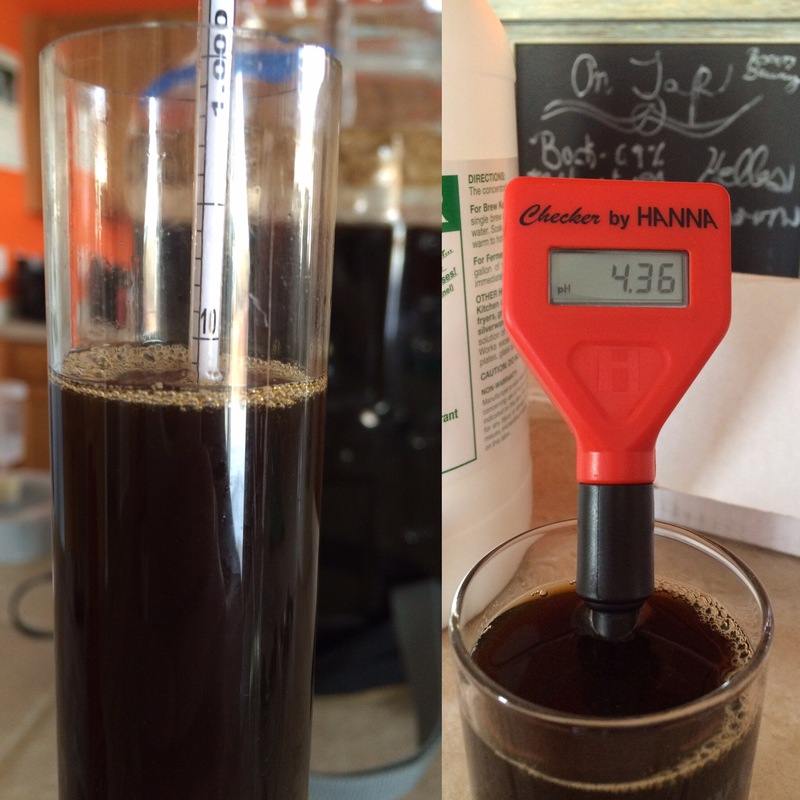 To determine if the same wort fermented with The Yeast Bay’s Midwestern Ale Yeast is reliably different from a beer fermented with WLP002 given the same fermentation conditions. For this experiment I decided the base beer should be something English, and also, something that my wife requested I get on tap ASAP! With those constraints I went with an old (lol I’ve been brewing three years so relative) recipe I developed for an Oatmeal Stout. 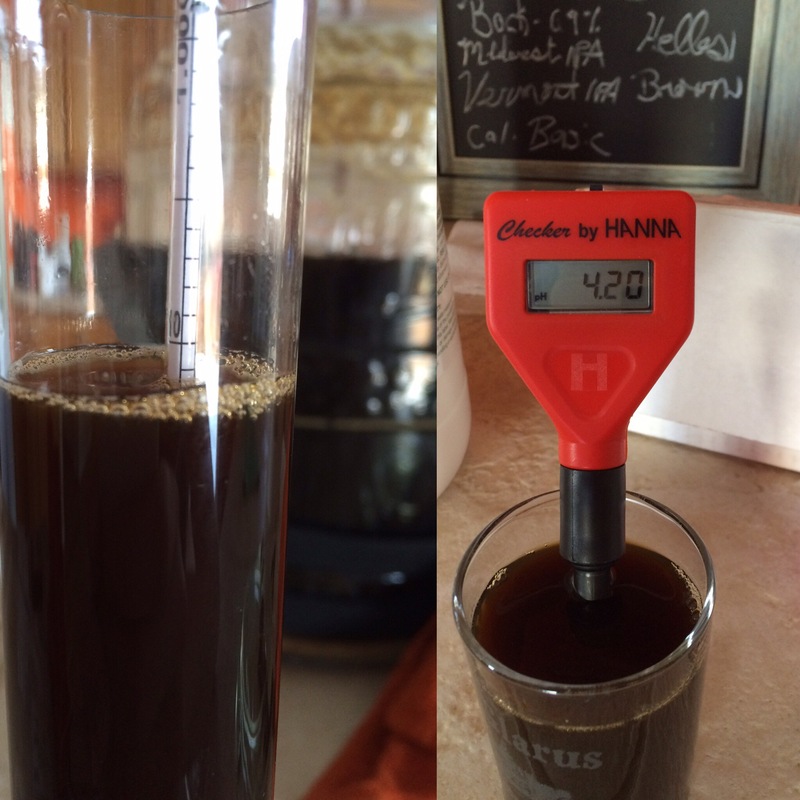 This recipe produces a very nice beer that is quite drinkable and has a fantastic coffee/chocolate aroma. 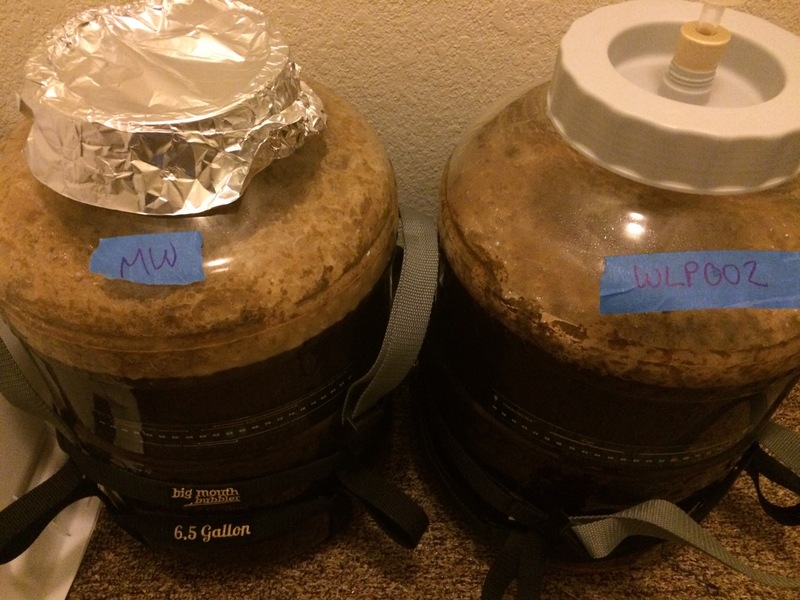 The night before brewing I purchased my grains and water and prepared yeast starters, overbuilding the MW ale yeast so I could keep some around for future comparisons. The morning of brewing we had our friends Dave and his lovely wife Ashley over for brunch (see Lucinda Scala Quinn for great recipes I’ve cited before!) and then Dave and I heated the strike water and mashed in hitting our target temp within a degree (it always makes me feel great when science works!). 15 minutes into the mash we stirred and took a PH reading nearly hitting the 5.3 mark predicted by Bru’n water (see previous comment about science!). 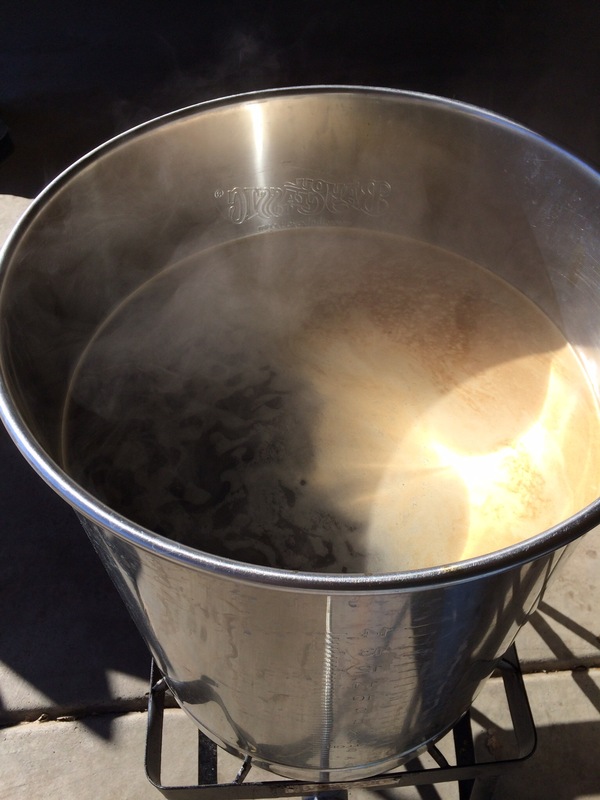 After that we let the mash rest for the duration of 60 minutes stirring a couple times throughout and then began the lauter. Once the wort was collected we boiled for 60 minutes which was great since only one hop addition happened we had plenty of time to sample other experiments and talk about our biased thoughts of the results. 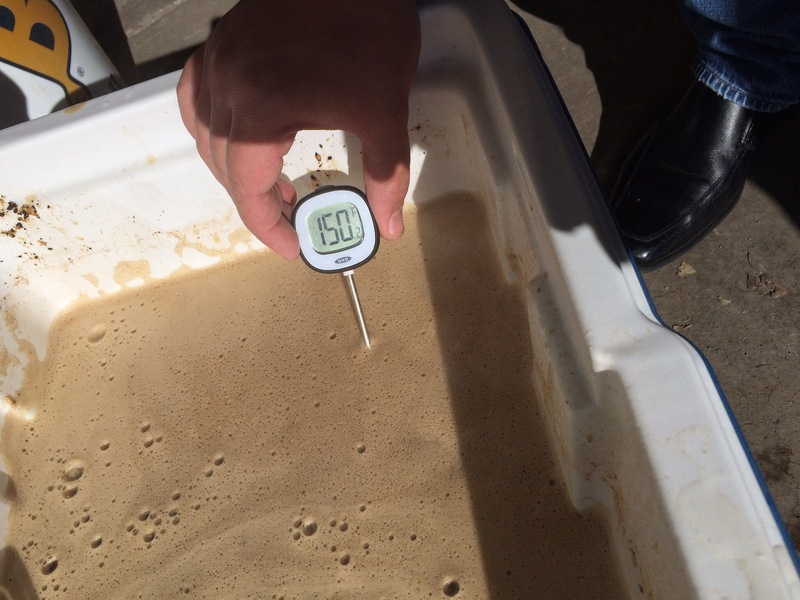 After the boil the wort was chilled to 75 degrees quite quickly and separated into two fermentors. The gravity according to the refractometer was 1.065 in SG confirming again my belief in science and the great work others have done which I regularly use to my benefits. 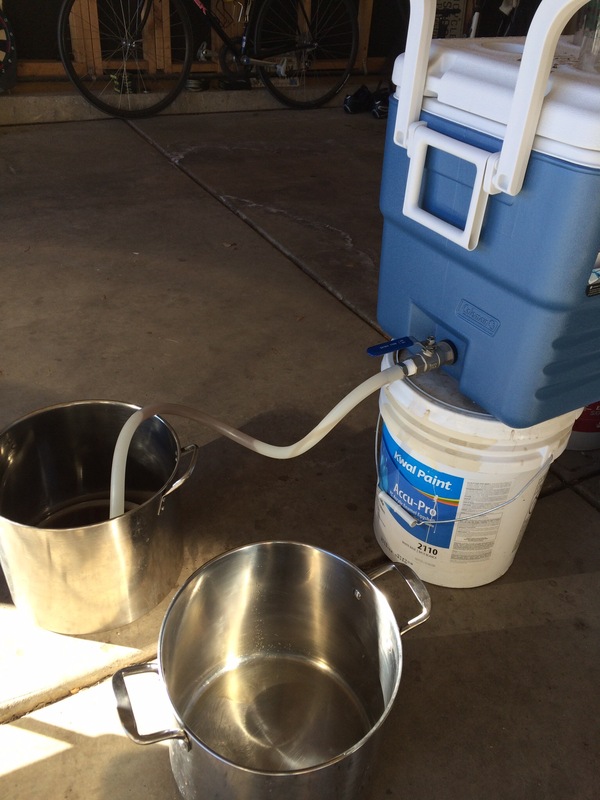 Both beers were fermented using my trusty Denver winter ambient of 62 which has always worked quite well. 12 hours post pitch the WLP002 was already off to a very nice start, while the MW was showing a few signs of fermentation. 24 hours post pitch both looked essentially the same. 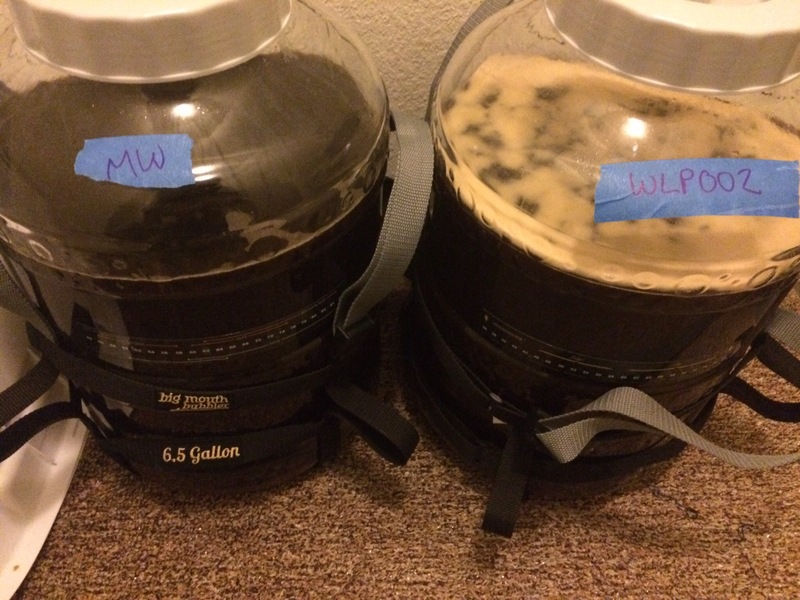 The WLP002 had a tad bit more dark crud on top however both looked and smelled nearly identical. 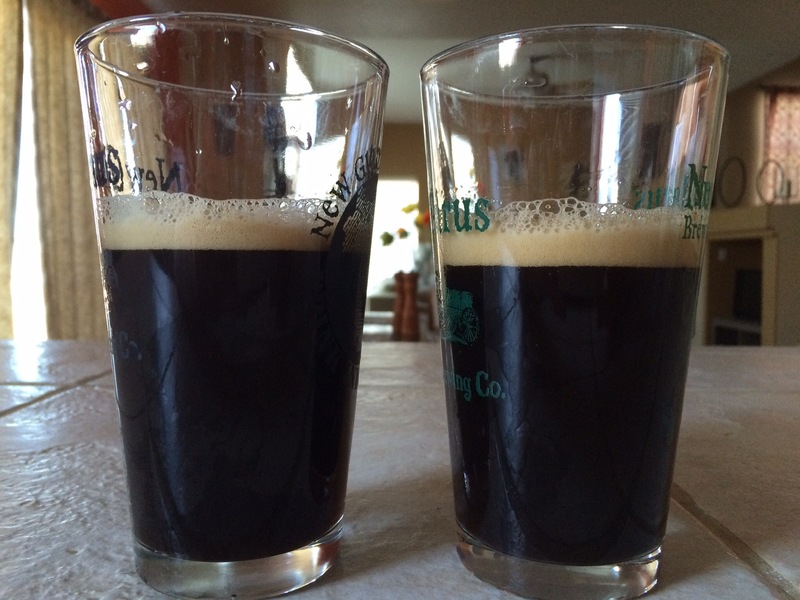 36 hours post pitch, both beers looked even more alike in terms of krausen. Though the picture doesn’t show it, both beers were churning like a blender. Peak temp of 66 was reached at this time. 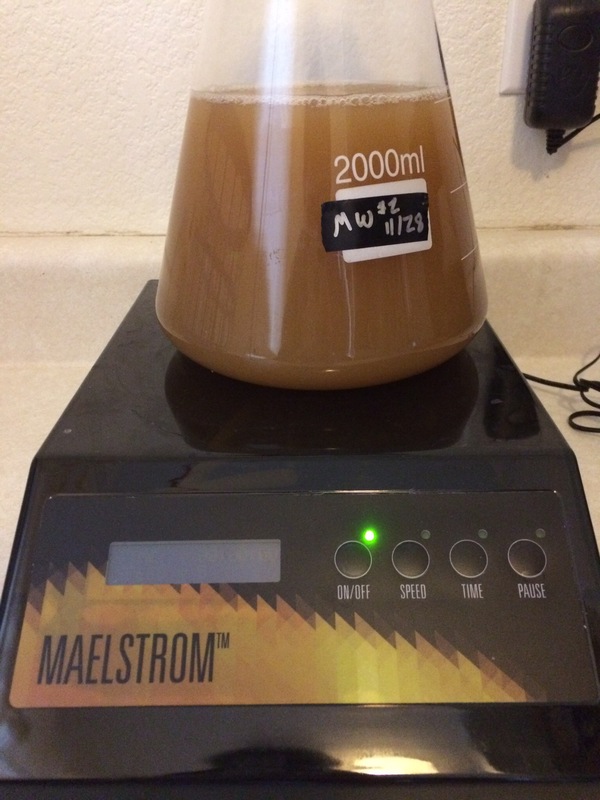 48 hours post pitch, the WLP002 krausen had begun to recede while the MW, as in MW vs VT, was actually reaching a higher level than the WLP002 had ever reached. As the WLP002 fell, it did so in that classic English way of coagulating and becoming very clumpy at the bottom. The MW was actually starting to leech down from the top as well and wasn’t clumpy at all. The beers sat for a total of three weeks at 62ish and were done. When the beers were kegged the yeast cakes looked totally different (sorry the 002 flopped on top of itself so no pic). The yeast from the MW looked more like a cal ale or kolsch yeast cake. I’ve had these beers multiple times now as well as shared with a dozen or so people. No one has failed to identify a difference when tasting these blindly. All of the tasters are fairly confident when tasting next to an English ale, that the MW is probably not an English ale yeast. A summarization of thoughts is shown below. Taste: Bitter chocolates, roasted grains slightly tart twang at the back which goes very well with the chocolate. Body: Smooth up front, leaves a nice bitter bite at the end which makes you want a second sip. Conclusion: The overall preference for the beers was quite evenly split. Both beers received praise as being very drinkable and even a great beer to drink on a cold day watching the Broncos (I merely live in Denver, this sentiment isn’t from me). The 002 was considered smoother more often than not. The MW was certainly cleaner and crisper, more American. I’m pretty shocked by how different these beers actually are. I went into this experiment fairly certain the finished beers would be much closer. 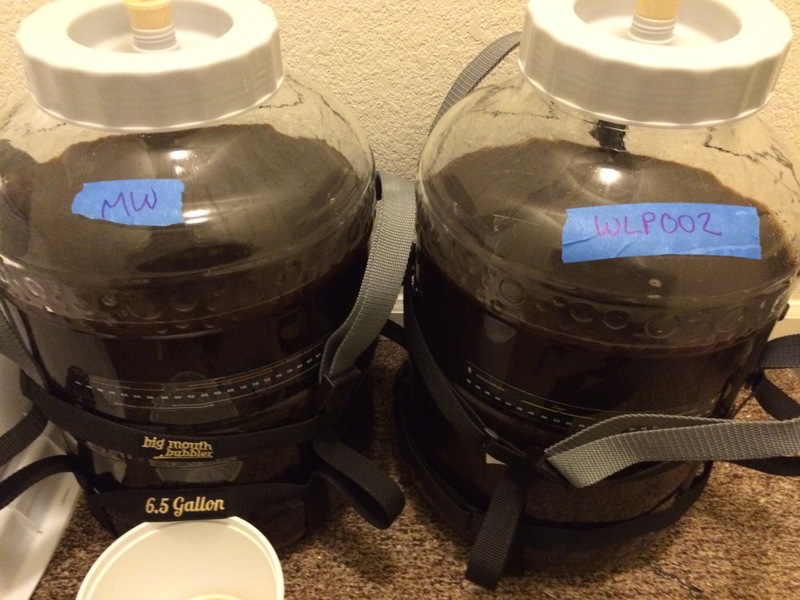 The MW ale has zero esters coming through and is, probably, a great example of an American stout. If I taste this blindly I can’t tell it’s an oatmeal stout. The 002 is a staple brew for me and produced a beer I love and recognize. 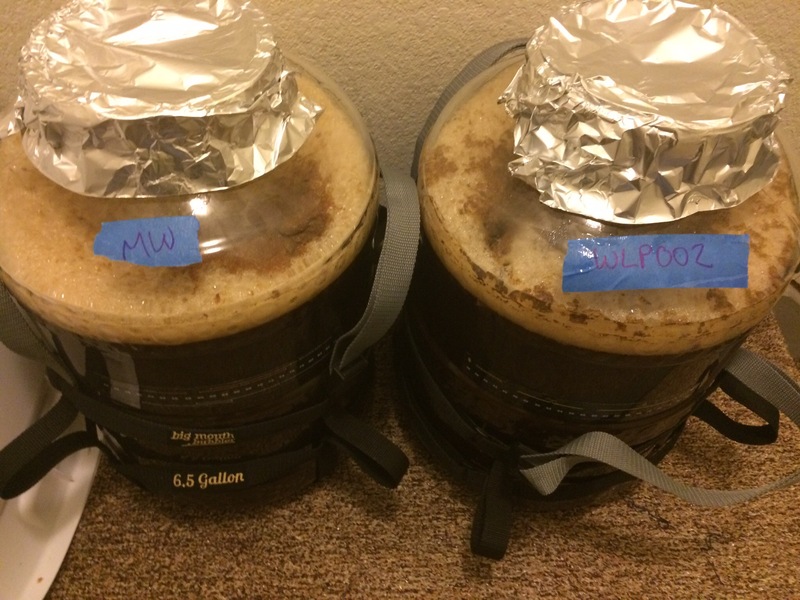 While I really enjoyed the MW stout, I will personally be sticking to English yeasts to ferment my stouts. The Midwest ale produces a much better American stout than 002 (obviously), however I don’t generally brew American stouts. This needs to be tried in an expedition clone. As I think about the results of this experiment, who knows, maybe I’m discounting American early craft brewing culture when I think it was largely pilfered from Britian and Germany. Maybe Bells does truly have a unique American strain! Either way this is a fantastic yeast that everyone should try! Cheers and as always, feel free to email me with experiences using MW or ideas for future comparisons to MW ale! Next Extract Experiment 1: Does Late Addition of Extract Make a Difference?